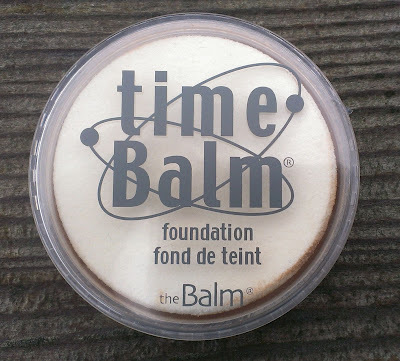 I've tried the Time Balm Concealer and think it works pretty well as spot concealer for acne, scar and discolorations, but it does have a slightly dry texture so it isn't the best option under the eyes. Since the Time Balm Foundation comes in a similiar container, just larger, and is also a cream product, I figured the formula would be pretty similiar so I wasn't expecting much from it. But really, it's a pretty nice foundation. It is a fairly thick foundation, but it's creamy so it blends really easily into the skin. The coverage is medium but buildable, and I don't have any issues with it accentuating flakiness or uneven texture with my normal-to-dry skin. I think the fact that it's slightly dry would make it a good option for normal-to-oily skin too. If you have extremely oily or extremely dry skin, though, it's probably best to pass on this on. The foundation comes with a sponge, which is a great way to apply it if you're in a hurry. 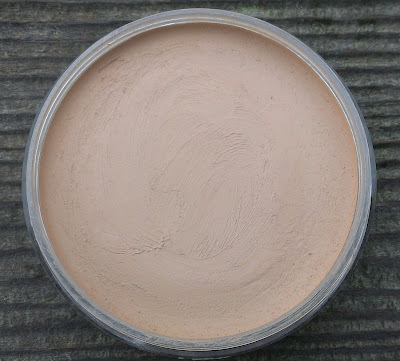 However, I like it best when I apply it with a brush (usually my Sigma F82) because it sheers out the foundation a bit for a soft, natural look. 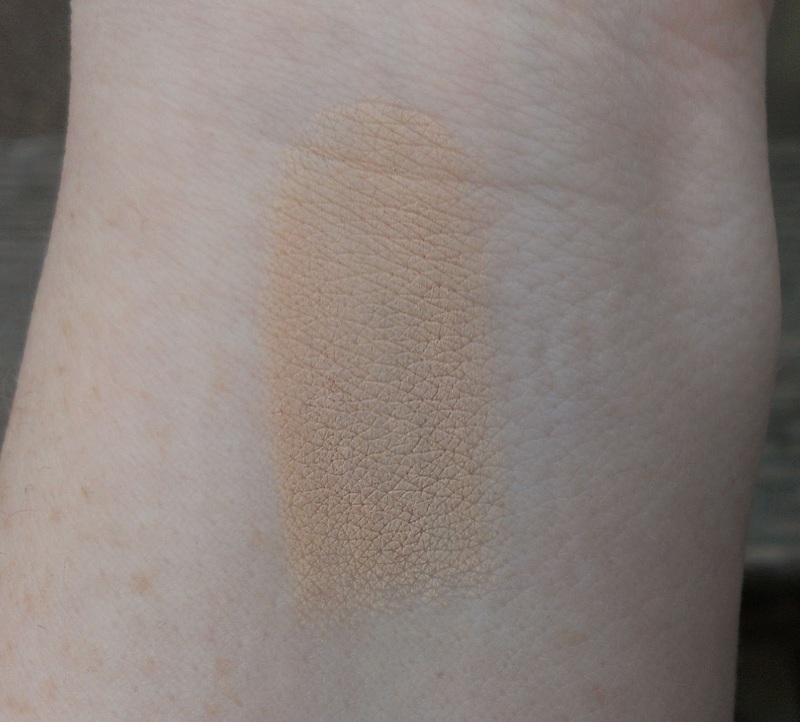 I do have one real issue with the foundation, but it's one that I often have - the lightest shade, Light, is too dark. Now, it looks much darker and more orange on the super pale inside of my wrist in the photo above than it does on my face but you can see that it's pretty dark. That's why I prefer using a damp brush to apply it - sheering it out really helps it blend in well. 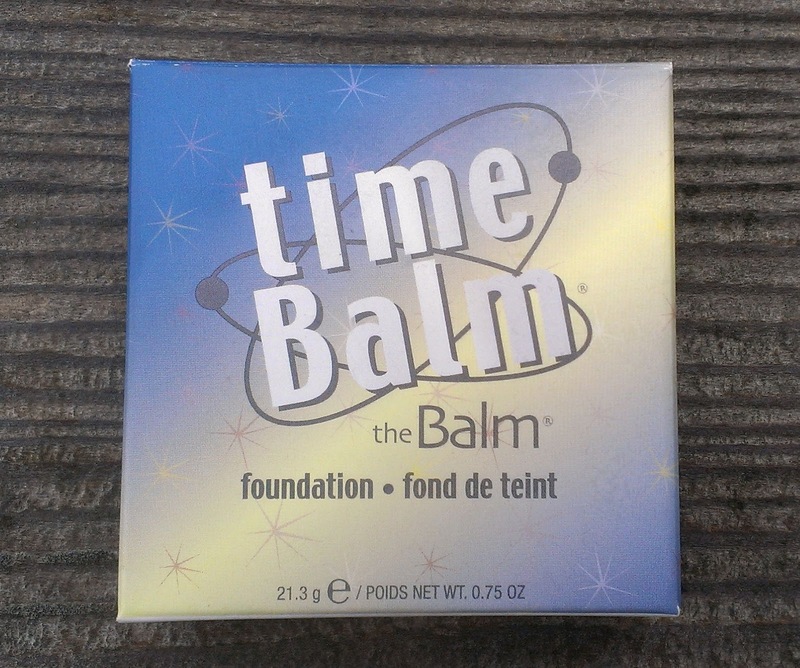 I used to avoid cream foundations like the Time Balm because I didn't think they were a good match for my slightly dry skin. However, if you find the right formula - and I totally credit the Maybelline Dream Smooth Mousse Foundation for changing my mind on this score - cream foundation can be really nice even on dry skin. I also feel like you can apply it really quickly too since it blends easily so I like it when I'm in a rush. That's why, while I still prefer liquid foundation, I like to have a cream formula in my arsenal for days when I'm short on time. I prefer the Maybelline Dream Smooth Mousse to the Balm's Time Balm Foundation because it's more emollient - and the Time Balm's $28 price tag is pretty steep compared to the $9 or so for the Maybelline. But if you can pick up the Time Balm Foundation from Haute Look at a discount, I definitely think it's worth trying. Are you a fan of cream foundations? What's your favorite foundation formula? You´re the same as me! xD I tried their "lighter than light" concealer and it was still a bit too dark form me. 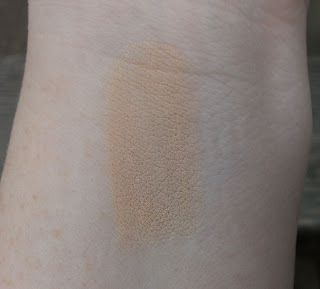 Now I´m mixing it with a completely white concealer from Illamasqua to get the right shade (if you´re curious: http://minimalmakeup.blogspot.de/search/label/Concealer ). I have a white foundation to use for lightening darker products but I didn't realize that they made white concealers! How cool. I'm definitely going to have to check out the Illamasqua concealer after seeing the pic on your blog. Thanks for sharing! Illamasqua has amazing shades. I think their 115 would be a perfect fit for girls like us. Also the texture is nice. I was excited to see the Lighter Than Light shade too because I really do like this foundation. I actually ordered the new shade from HauteLook and I'll pass the Light onto my sister who's a bit darker than I am.